Update Friday December 23 9:00 PM: The U.S. Coast Guard has called off the search for the missing 22 year old male who intentionally jumped off of the Independence of the Seas early Thursday morning. The USCG searched for 38 hours and covered about 4,574 square miles. The coast guard called off the search reportedly at 5:44 PM Friday. "We want to extend our condolences to the family and friends of Mr. Skokan" said Chris Eddy, a Coast Guard search and rescue technical specialist. "The decision to suspend a search is never easy, and it is made with great care and consideration." Thursday December 22: The U.S. Coast Guard is currently searching for a man who intentionally jumped off of Royal Caribbean's Independence of the Seas, as it was heading back to Port Everglades this morning. 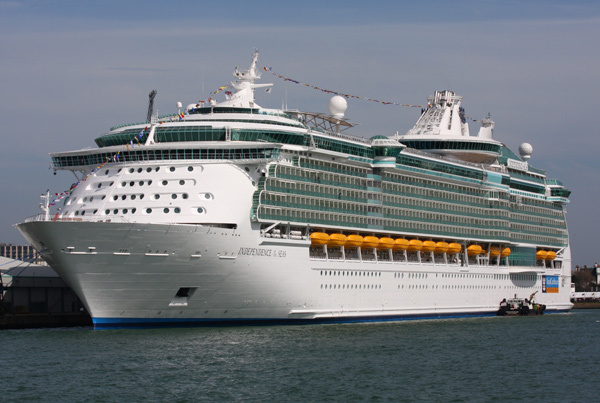 Officials are reporting that a 22 year old man was seen jumping off of deck 12 aboard the Independence of the Seas at approximately 2 AM on Thursday. The ship was about 30 miles south of Key Largo. Crew on board the ship joined the USCG in searching for the passenger until 6:15 AM, before returning to Port Everglades. The Coast Guard is continuing its search. It is unknown why the man jumped overboard at this time.